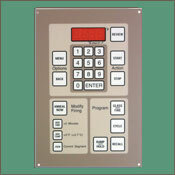 The GlassMaster controller is the product of years of research. We asked artists and glass manufactures all over the country what features they would like to see in a controller. The result is a controller that's extremely easy to program and offers the flexibility of a wide array of innovative features. The GM818-3CR comes standard with APM elements. For people who are using material that does not out-gas too many caustic fumes (like batch or many colors) these elements should give you significantly longer life. They have a different cell structure from standard A-1 element wire which is more dimensionally stable at higher temperatures. Like Your Smartphone the new GMT controller navigates with just a touch of a finger and allows us to guide you through programming with full sentences, helpful icons, and dynamic navigation. 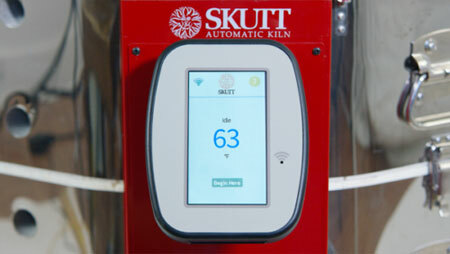 Built-in WiFi makes it possible to download any software feature upgrades for free so it is like having a new Kiln Controller for the life of the kiln. 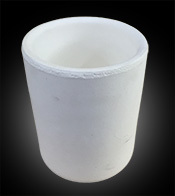 We were the first to offer detachable sections, which makes kilns easier to move . One person can move and set up most models and repairs are much easier. Many models allow you to increase capacity with a Blank Ring. Additionally, you can stack a kiln around large work. 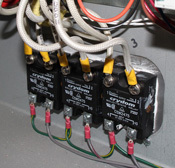 Solid State Relays are just what the name implies…they are SOLID. When you have a $200 crucible filled with $1000 worth of glass, the last thing you want in the world is to have a relay go out. Over our 50 years we have tested a lot of relays and solid state relays when engineered with a properly sized heat sink are some of the best. Add the optional crucible for the Skutt GM818-3CR. 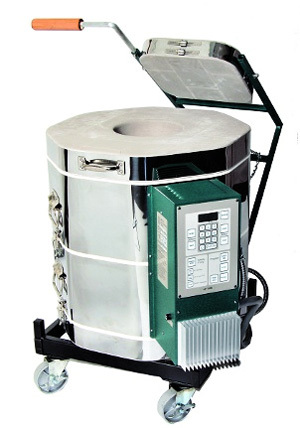 Let's face it, building, running and maintaining a crucible kiln can be expensive. The GM818CR offers an affordable alternative to traditional melters. 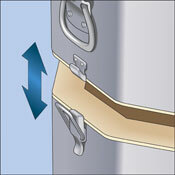 The Mantis Door System was designed for ease of use and ease of maintenance. The top hat door rocks back on an arc, keeping the hot face of the lid facing down so it does not radiate heat back at you while you are dipping. It has a wood handle that stays cool so you will not burn yourself. The main lid is hinged seperately and is cut with an 8″ access hole. To load or remove a crucible simply release a chain that allows the Mantis frame to move out of the way and open the lid. 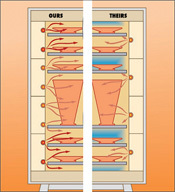 When glass is molten it is conductive. When the top hat is opened, a shut-off switch is activated so you will not shock yourself while dipping.